Last time viewers left Dora from Nickelodeon’s educational animated television series “Dora the Explorer,” the adorable Latina girl was embarking on adventures with her monkey-friend Boots and her talking purple backpack. Her biggest enemy was Swiper, a thieving fox who could be stopped only if viewers chanted “Swiper, no swiping!” three times. 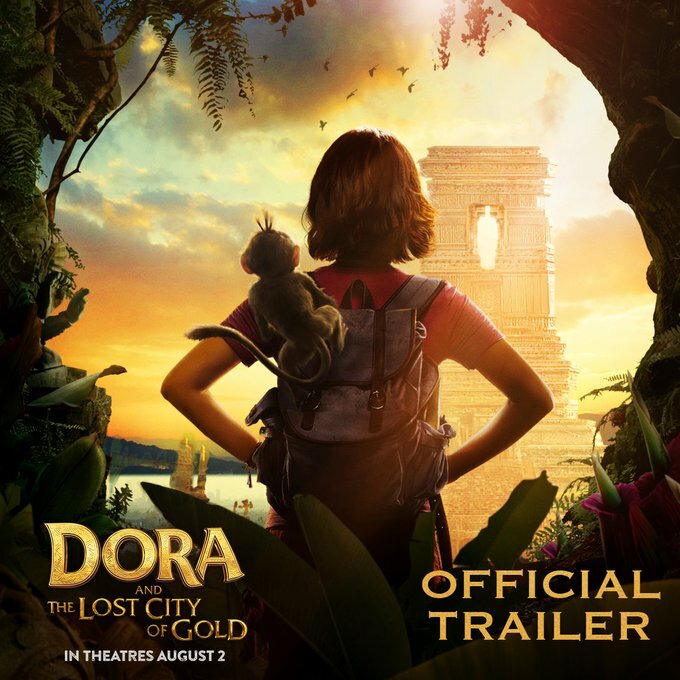 In “Dora and the Lost City of Gold,” an upcoming live-action movie based on the series, things get a bit more complicated for the adventurer, according to the first film trailer that dropped this weekend. Dora’s parents, portrayed by Michael Peña and Eva Longoria, think it’s time for Dora (Isabela Moner) to gain some stability in her life and decide to ship her off to live with her cousin Diego (Jeffrey Wahlberg). Meanwhile, they’ll be exploring an ancient city covered in gold, while Dora attempts to adjust to the structured high school life — a difficult task for a girl who grew up in the jungle. Just as Dora is starting to get used to school, she and her new friends are kidnapped on a class field trip. In this action-movie reminiscent of the “Spy Kids” series, they must escape and track down Dora’s parents. Luckily for them, a family friend, Alejandro Gutierrez (Eugenio Derbez), arrives to lend them a hand. Other talent includes Danny Trejo, who voices Boots, and Benicio Del Toro, who voices Swiper. Continue on to Latino News to read the complete article. 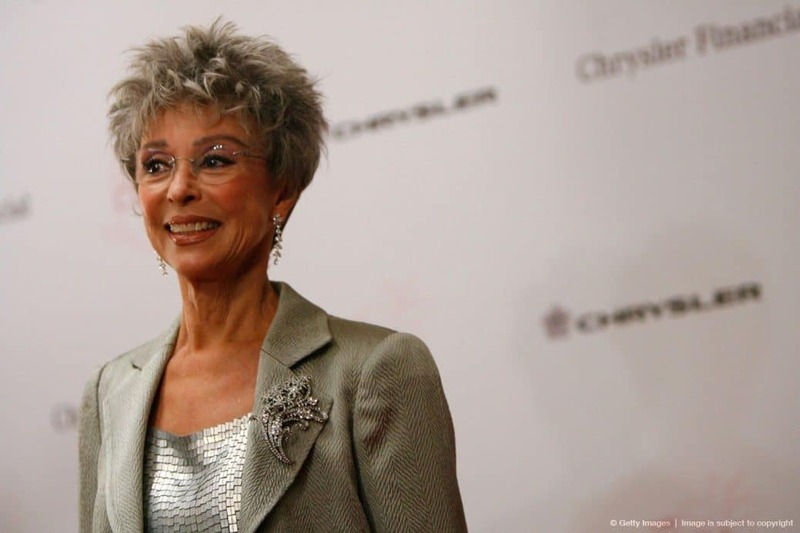 Rita Moreno’s alphabet of awards is gaining another letter. The Peabody Awards organization recently announced it will honor the Puerto Rican actress, singer and dancer with the career achievement award. That means Moreno, 87, will become the third person to achieve PEGOT status by winning a Peabody, Emmy, Grammy, Oscar and Tony award. Film director Mike Nichols and entertainer Barbra Streisand are the other two PEGOT winners. “So proud to be the first Latino recipient,” Moreno said on Twitter. She is also the second person to ever receive the Peabody Career Achievement Award. The first recipient was legendary comedian Carol Burnett in 2018. Moreno, who gained widespread fame in the film “West Side Story,” will be honored at the Peabody Awards annual gala in New York City on May 18. Most recently, Moreno starred in three seasons of the popular Latino remake of Norman Lear’s classic sitcom, “One Day at a Time” on Netflix, which was nominated for a 2017 Peabody Award, She also signed on to be an executive producer in Steven Spielberg’s remake of West Side Story — a film in which she is also co-starring. Moreno has also received other prestigious awards, such as The Kennedy Center Honor for her lifetime contributions to American culture and the Screen Actors Guild Life Achievement Award. She was awarded the Presidential Medal of Freedom by President George W. Bush and the National Medal of Arts by President Barack Obama. Continue on to NBC News to read the complete article. 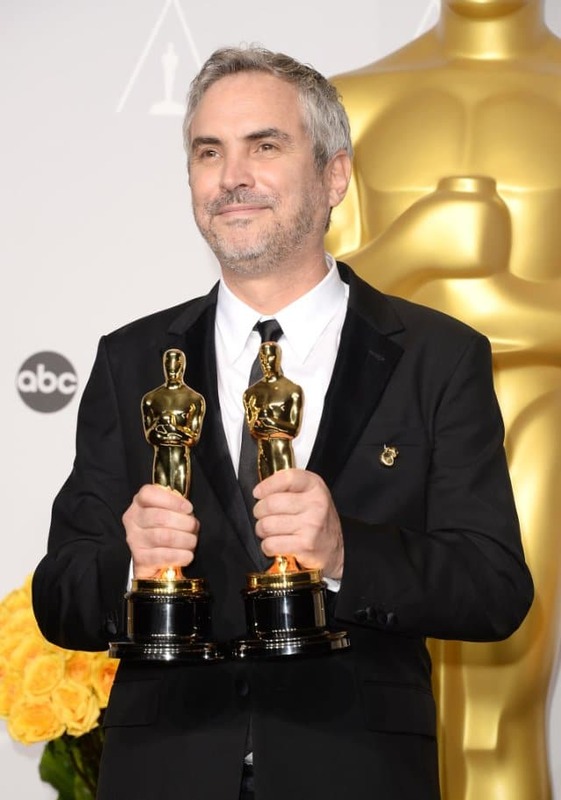 This year’s Oscars ceremony may not have ended with what would have been an historic win for Roma as Best Picture, but the Alfonso Cuarón film did manage to break a couple of records with its three wins. 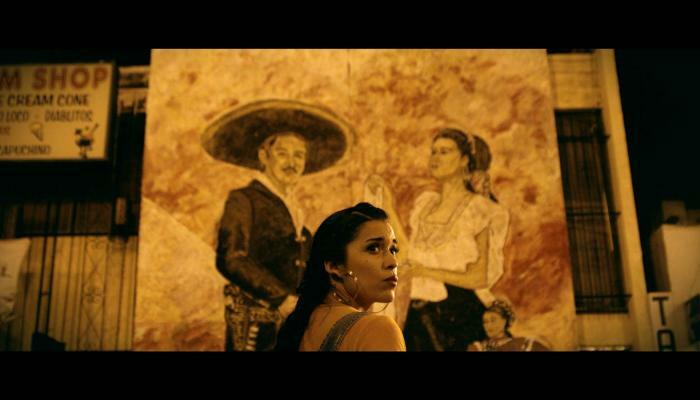 Scoring statues for Best Cinematography, Best Foreign Language Film and Best Director, the black-and-white period film spoken in Spanish and Mixtec was part of a rather multicultural telecast. There were various firsts, with Black Panther’s costume and production designers becoming the first black women to win in their category; female filmmakers dominating the Shorts races; and winners like Rami Makek (Best Actor for Bohemian Rhapsody) speaking powerfully about being the child of immigrants in this country. Moreover, in between appearances and speeches by Diego Luna, Alfonso Cuarón, Guillermo de Toro and Javier Bardem, there was plenty of Spanish to be heard throughout the telecast. So much so that by the time Luna joined chef José Andrés on stage to present a clip from Roma, he went off-script in Spanish (“Buenas noches,” he quipped, “Ya se puede hablar Español en los Oscares!”) before being nudged back into their scripted banter. For the complete article, continue on to Remezcla. The Sundance Film Festival is known for championing eclectic, independent work from artists around the world. Given their specific diversity-driven initiatives of years past, the 2019 edition of the festival was no exception, particularly with respect to cinema of interest to the Latino community. To the contrary, if you spent any time in the last few days in the snowy, mountainous air of Park City, you saw that this year showcases an embarrassment of riches when it comes to quality cinema from Latin America. But, like all things involving Latino culture, Latino-related films at Sundance defy reductive simplifications. The picture that emerges is of a vibrant, diverse, and complex community of films and filmmakers. As told through the eyes of these artists, Latinos experience much of the same angsts as all other members of society. At the same time, we have a unique set of anxieties—and a beautiful, distinctive perspective—that makes Latin American cinema rewarding. For the complete article, continue on to Awards Circuit. At a time when Latin music is experiencing unprecedented popularity and Sony leads the Latin category in U.S. market share, according to Nielsen Music, Nir Seroussi’s unexpected exit from Sony Music U.S. Latin — on Jan. 18, after four years as president and another four as managing director — came as a surprise to the Latin music community. Sony did not give a reason for the change, although both the label and Seroussi said they were parting on amicable terms. 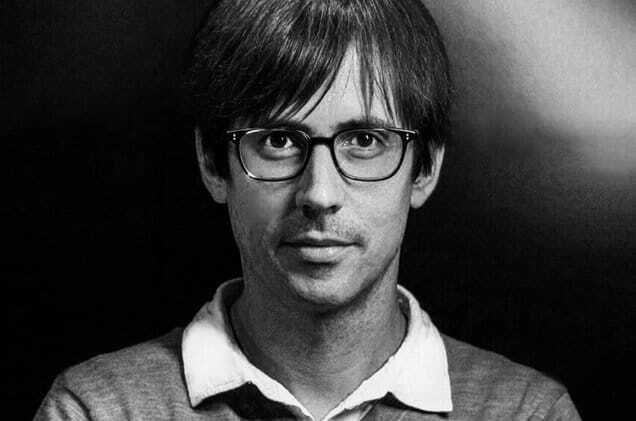 But the announcement of Alex Gallardo, 43, as the division’s new president puts an artist favorite at the helm of the company and reinforces its commitment to investing in A&R. To read the complete article, continue on to Billboard. 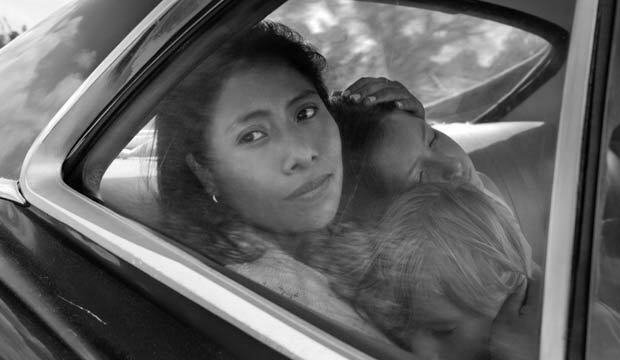 Yalitza Aparicio, who was just nominated for best actress in a leading role, gives a compelling and honest performance in her role as the family’s nanny, Cleo. She is now the second Mexican best actress Oscar nominee. “I am eternally grateful to the Academy for recognizing Roma,” she added. However, Aparicio wasn’t on the path to becoming an actress before taking on this big role. She’s actually a schoolteacher and only auditioned for the part after going to the audition with her sister, who is a singer and wanted to try for the role herself. Continue on to Abc News to read the complete article. “When I see that cute little girl with her pretty brown skin, it makes me melt,” said actress Gina Rodriguez, who is Carmen in the animated series. Carmen Sandiego and Maria Vargas Aponte don’t have much in common. One is a fictional criminal mastermind who travels the world to avoid capture, while the other is a very real Texas-based video game blogger who makes an honest living as a computer engineer. Like other young adults who grew up in the 1980s and ’90s loving computers and gaming, Vargas Aponte relates to Carmen for many reasons, though one sticks out. 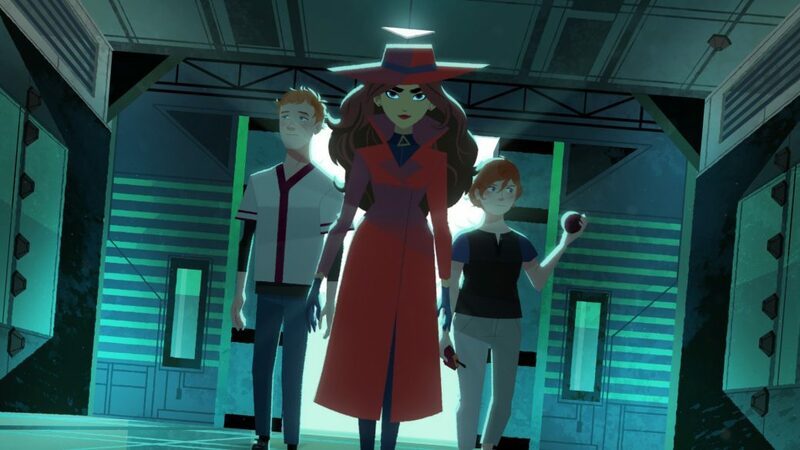 “Many Latina characters are secondary characters, but with Carmen Sandiego, we have this badass Latina character,” said Vargas Aponte, 28, who grew up playing a version of the “Where in the World is Carmen Sandiego?” computer game. Rodriguez, a native of Chicago who is of Puerto Rican descent, views her character as one that bridges cultures, something that resonates among the increasingly diverse younger generations. Carmen Sandiego was introduced to the world in 1985 as a character in a computer game. The character has since appeared in multiple iterations of the game, such as “Where in the U.S. Is Carmen Sandiego?”; “Where in Europe Is Carmen Sandiego?”; “Where in Time Is Carmen Sandiego?” and others. The character also inspired a PBS game show where middle-schoolers won prizes for successfully answering questions about geography, as well as an animated television series, “Where on Earth Is Carmen Sandiego?” Rita Moreno was nominated for three Daytime Emmys for her voice work as Carmen in the latter series. On Thursday, fans found out that Moreno will be voicing the character of Cookie Booker in a few episodes of the new series. Though Carmen Sandiego was the center of a sprawling franchise, she was perhaps best known to young people like Vargas Apointe from the educational computer games where she first appeared — and where there were hardly any young women of color. Continue onto NBC News to read the complete article. LATV Network, the original national, bicultural television network — which recently kicked off its second decade of programming — is excited to announce the launch of its groundbreaking weekly talk show “Glitterbomb”, premiering on the network this fall. 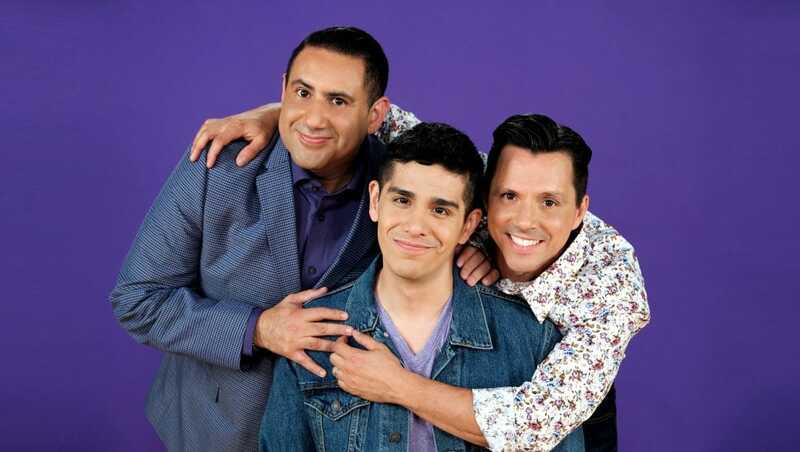 “Glitterbomb” is an explosive pop-culture talk show hosted by an entirely gay, Latino, Hollywood-insider panel featuring “Entertainment Weekly” senior editor Patrick Gomez, iHeartRadio personality Alexander Rodriguez, and actor Enrique Sapene. Their queer Latino perspective — drizzled with wit, humor and first-hand insight into A-lister life — gives “Glitterbomb” a festive and unique flavor that everyone can enjoy. Combining their experience in acting, radio and journalism, there’s no subject too hot to handle and no scandal too spicy to dig into. Produced at LATV’s state-of-the-art HD studios in Los Angeles, “Glitterbomb” is an English-language show that features heated discussions about the latest in pop culture news and trends; provides an inside look at the latest celebrity hot spots and events; and welcomes some of the biggest names in entertainment. LATV is the only remaining Latino-owned TV network in the Hispanic television space. Its programming primarily targets U.S.-born Latinos and the coveted bicultural 18-49 Latino demographic, with content that features originally-produced shows in Los Angeles, as well as licensed content that has never before been seen in the U.S. For more go to LATV.com. PATRICK GOMEZ is currently a Senior Editor at “Entertainment Weekly”. As a veteran “People” magazine writer and member of the Television Critics Association, the Texas native has appeared on “Today”, “Extra!”, “Access Hollywood”, “E! News”, HLN’s “Michaela”, and “Nightline” and can be seen frequently on “Good Morning America”. ALEXANDER RODRIGUEZ is an on-air personality and entertainer. His sense of humor shines on his nationally syndicated radio show, “On The Rocks”, “where celebrities and cocktails” on iHeartRadio and Universal Broadcasting Network. The show is broadcast live weekly from Sunset Gower Studios in the heart of Hollywood. The Southern California native also serves as Entertainment Editor for “Bear World Magazine”, a national LGBT online media source. ENRIQUE SAPENE is an actor, host and producer. The Venezuela native has entertained audiences internationally as a reporter on Univision, NBC, ABC and Telemundo. As an actor, he has recurred on the Amazon Prime series “Borderline” and his telenovelas ” Pecadora”, “El Alma Herida”, “Eva la Trailera” and “Tomame o Dejame” have sold worldwide. In 2017, Enrique joined the cast of the docu-series “My Life is a Telenovela”, which aired on WEtv and E! Latin America and is currently available on Hulu. Discovery en Español announced today the launch of “GO Originales”, a series of short-form content only available on the Discovery en Español GO App. The new digital programming lineup will focus on genres including Auto, Adventure, Food, Travel and Lifestyle, as well as Tech and Innovation. Discovery en Español GO currently features more than 1,600 hours of content, including full seasons and series of fan favorite shows. Enfangados: The show immerses viewers in the world of off-roading in the mud beyond the adventure and deep into the depths of its community, heritage and family. Duration: 10 minutes. Chrome divas: This episodic series provides an inside look at this all-female motorcycle club – as they struggle to juggle mommy duties and their careers with their thirst for adventure and passion for adrenaline. Duration: 10 minutes. Conóceme América: Sales guru and motivational coach Wilder “Willy” Rizo embarks on a mission to meet a million people in America. To do this, Willy sells his house and decides to travel in an RV with his family to explore the people and towns of North America. Duration: 8 minutes. Viaja X menos: Mexican-born Alex Tienda, a free-spirited adventurer with over half a million followers on YouTube takes audiences along on his adventures as he visits different corners of the country. His goal is to show viewers how they can explore top U.S. destinations in 48 hours while on a budget. Duration: 10 minutes. Gastronomía clandestina: Actor, presenter, chef, and former MasterChef Latino runner up, Andrés de Oliveira takes viewers on an underground foodie adventure to discover pop-up restaurants and secret, password required dining establishments. Duration: 10 minutes. De chuparse los dedos: Grace Ramirez, a former MasterChef USA contestant and creator of the award-winning brand La Latina, tours the U.S. in search of the most finger-licking finger food in the country. Duration: 10 minutes. New York City tracks the morning rituals of inspiring Hispanics. The shorts follow how these individuals kick start their day to set themselves up for success. Duration: 8 minutes. 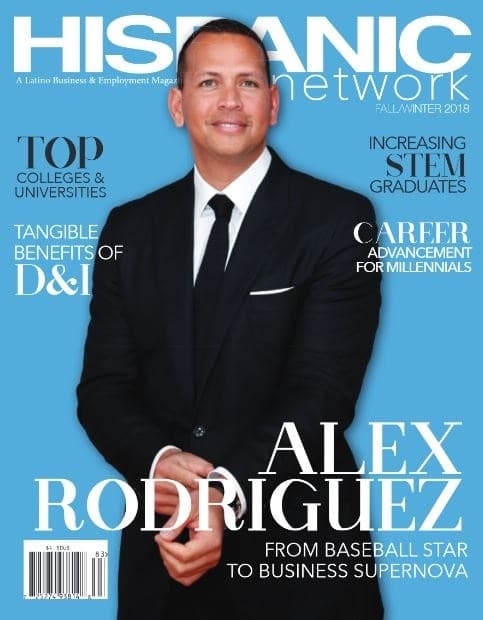 TEC + Humanas: Award-winning TV network personality Poncho de Anda delves into how innovative Latinos are fusing the world of technology and humanity. The show aims to inspire and encourage viewers to continue to push technological advancements, while keeping in touch with the human aspect. Duration: 7 minutes. The Discovery en Español GO App is available on iOS and Android platforms and launching later this month on Roku and Amazon Fire. Aside from GO Originales, other App content includes live and next-day anytime, anywhere access to series and specials, including past seasons of popular network shows like Mexicánicos, Alaska: la última frontera, and Crimen casi perfecto among others. The U.S. Hispanic GO Apps (Discovery en Español and Discovery Familia GO) have seen consistent growth since launching last year with an average monthly growth of +21% in users +34% in streams. Discovery en Español connects Spanish-speaking viewers in the U.S. to the world and all its wonder and possibilities. It provides quality programming focusing on bold storytelling across core genres including adventure, ingenuity, natural history, investigation and current affairs. Created by Discovery Communications, Discovery en Español is widely distributed on Hispanic tier packages throughout the country. It also reaches audiences across screens on the ‘’Discovery en Español GO’’TV Everywhere app. For more information, please follow us on Facebook at facebook.com/discoveryenespanol, Twitter @DiscoveryenESP and Instagram @discoveryenespanol. “Selena will always have a lasting place in music history and we feel great responsibility to do justice to her memory,” said Selena’s sister. Netflix has ordered a scripted drama series based on the life of Tejano music star Selena Quintanilla. The series is described as a coming of age story following Selena as her dreams come true and all the heart-wrenching and life-changing choices she and her family have to make as they navigate success, family, and music. Moises Zamora will serve as writer and executive producer on the series. Jaime Davila, Rico Martinez, Suzette Quintanilla, Abraham Quintanilla Jr., and Simran A. Singh will also executive produce. Campanario Entertainment will produce. The majority of the creative team behind this series previously secured a put pilot commitment at ABC for a series inspired by the musical legacy of Selena back in January. Continue onto NBC Latino to read the complete article. Sylvia Acevedo has spearheaded bold initiatives and lead innovative industry collaborations as CEO of the world’s preeminent leadership organization for girls. Sylvia Acevedo, CEO of Girl Scouts of the USA (GSUSA), was today named one of Fast Company’s 100 Most Creative People in Business, a powerful group of thought leaders from around the world. The rocket scientist, entrepreneur, and lifelong Girl Scout was cited for her vision and creativity—evident in GSUSA’s forward-thinking programming in STEM and the outdoors and such timely initiatives as the G.I.R.L. Agenda Powered by Girl Scouts, which aims to inspire, prepare, and mobilize girls to lead through civic action; and the Girl Scout Network on LinkedIn, which invites the organization’s more than 50 million alums to connect with one another to enhance their career development. When Sylvia Acevedo was a girl in Las Cruces, New Mexico, a Girl Scout troop leader encouraged her to build a model rocket for a science badge, sparking a lifelong passion. Many years after that pivotal experience, Acevedo, a true go-getter, became a rocket scientist. Throughout her career she held leadership positions at NASA’s Jet Propulsion Lab, IBM, Apple, Autodesk, and Dell. Since taking on the role of interim CEO of GSUSA in 2016 followed by permanent CEO in 2017, she has brought her bold and innovative thinking to the 106-year-old organization, infusing Girl Scout programming with STEM in response to girls’ requests as well as the cultural and economic need to prepare more girls in the U.S. for STEM careers. 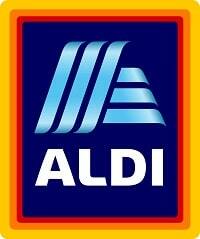 Continue onto PR Newswire to read the complete article.